Mercedes-Benz has appointed Publicis as its international network agency, after a one-year selection process. Following the move, Publicis will set up a new agency called “Publicis Emil”, based in Berlin, to better align the brand and product content. This is specific to the needs and requirements of the Mercedes-Benz brand. The agency will also be responsible for the local adaptation of the global and regional Mercedes-Benz campaigns in around 40 markets. This includes increasing synergies for a more consistent look worldwide for the Mercedes-Benz brand on the digital platforms, along with a “stronger dovetailing” of central and local digital content. As part of its digital transformation, processes are also currently being realigned in marketing communications, according to the statement. Currently, Mercedes-Benz works mainly with three creative agencies, namely BBDO in China, antoni in Germany and Europe and Merkley+Partners in the USA. Since 2007, it worked with BBDO Worldwide for adapting campaigns in around 40 markets – which includes Singapore, Malaysia and Indonesia. Its contract expires on 30 June 2018. “Our huge thanks to BBDO Worldwide and in particular to Andrew Robertson and Thilo Schotte personally for eleven years of extremely successful cooperation, which has elevated international marketing at Mercedes-Benz to new heights,” Jens Thiemer, vice president marketing Mercedes-Benz Passenger Cars, said. According to Mercedes-Benz, selection of the new agency was made on the basis of a “standardised, uniform process involving all participating regions”. The brand also worked with The Observatory International in the pitch process. “Our focus of cooperation with the new agency partner is above all on the worldwide digital marketing and communication measures in order to drive forward digital transformation at Mercedes-Benz. 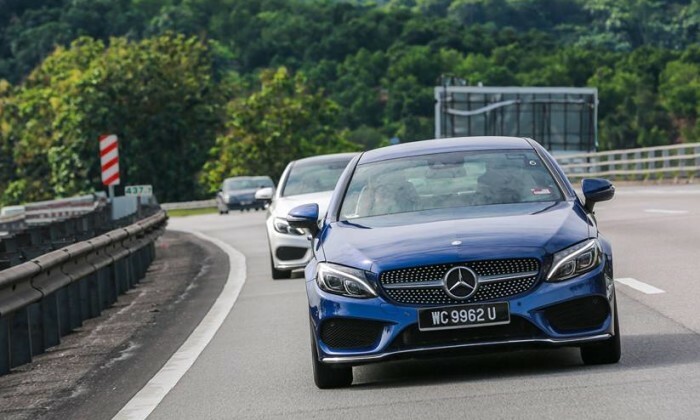 Our criteria for this are clear: best digital know-how, best systems, best creativity, best consultancy, best conditions,” Jens Thiemer, vice president marketing Mercedes-Benz Passenger Cars, said.